In the charming divine play as human being, that Supreme Ruler SATCHIDANANDA is expressed in three forms as Sri Ramakrishna-Sarada-Vivekananda. The blessed Lord HARI, who is Bliss Itself, manifests as MAHAKALI and SHIVA. 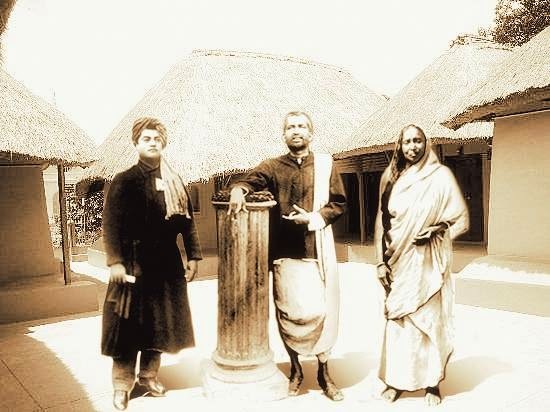 Sri Ramakrishna-Sarada-Vivekananda.